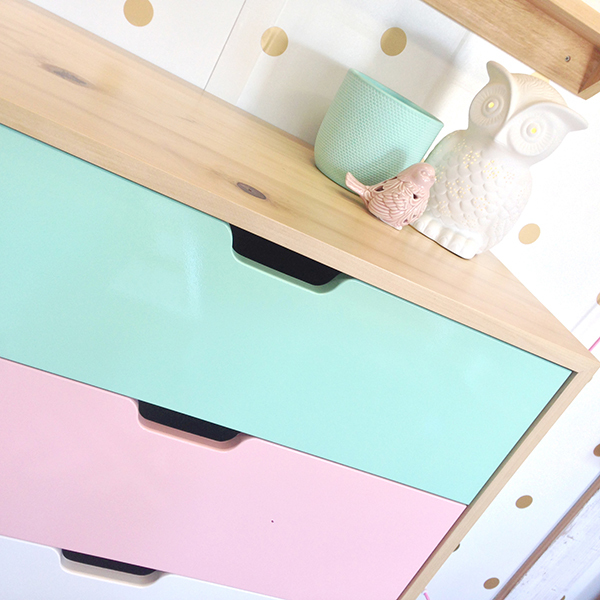 For contemporary storage that ticks the box for style and will take you from tots to teens, look to this tallboy from Raw Sunshine Coast – that’s right, it’s even locally made. Made from reclaimed hoop pine floor boards, the handcrafted Emma tallboy has four generously sized drawers for storage. Quality metal drawer runners make for super smooth opening and closing and the cut out handle groove adds to the streamlined design. Choose from three colour designs including classic white, a petula, mint and white combination (shown above) or the cooler tones of cool crayon, white and arctic grey. The Emma tallboy is custom made, so expect a four to six week wait for delivery. Priced $995, you can order direct at Raw Sunshine Coast.